French energy giant EDF, which already operates Hinkley Point B,British PM May has hails “new era UK nuclear power” after it ended years of uncertainty to give final approval to the £18 Billion ($A31.7B) Hinkley Point C plant in Somerset. 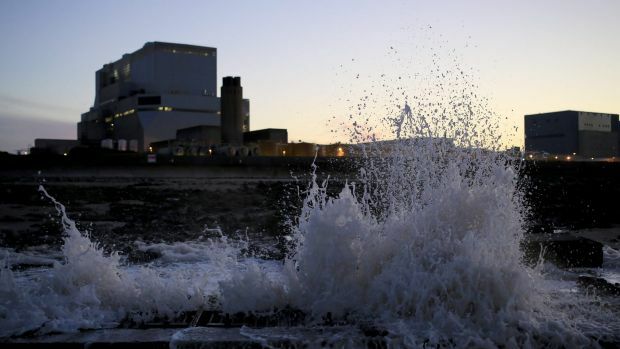 French energy giant EDF is poised to sign contracts within “a matter of days” confirming the controversial subsidy deal for Hinkley with the government and including a £6 billion investment in the project by Chinese state nuclear group CGN. After much fuss in Australia renewable energy expensive compared to coal at A$50/MWh, Hinkley is guaranteed 35 years at indexed price currently A$175/MWh. Meanwhile solar thermal, with storage, in Morocco, connected to northern Europe, contract price USD30.0, with big wind farm inPeru at USD29.0. This entry was posted in Events local and tagged climate emergency declaration, Hinkley, nuclear, UK. Bookmark the permalink.